Online role-playing game Final Fantasy XIV is a bit of a mess. Critics aren't thrilled, players aren't thrilled. Heck, even Square Enix isn't thrilled. Know what that means? Heads will roll. And they have. Director Nobuaki Komoto and producer Hiromichi Tanaka are being taken off the game and replaced by Naoki Yoshida. In an official statement, Square Enix honcho Yoichi Wada describes Yoshida as "a passionate individual for whom customer satisfaction has always taken top priority". Besides Yoshida, several "hand-picked" developers will join the existing team. Previously, Wada came out and said Final Fantasy XIV "isn't satisfactory", and Square Enix is trying to fix the game. In a statement issued today, Wada adds, "While more than two months have passed since the official launch of Final Fantasy XIV service, we deeply regret that the game has yet to achieve the level of enjoyability that Final Fantasy fans have come to expect from the franchise, and for this we offer our sincerest of apologies." 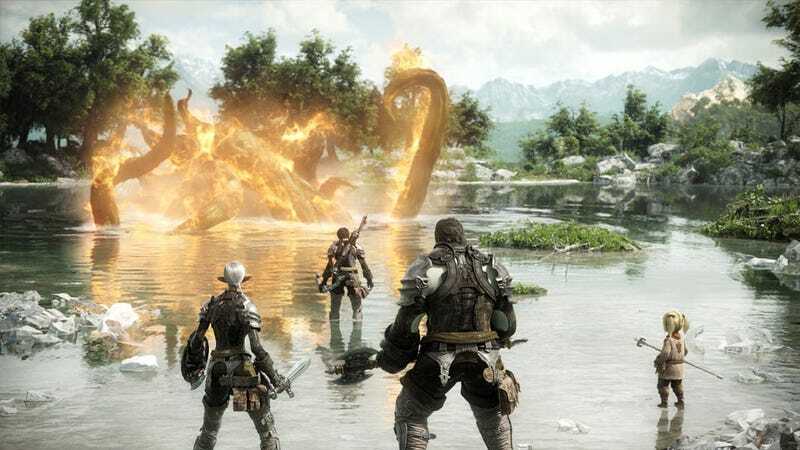 Square Enix is asking players to be patient until a concrete plan explaining the game's new direction. Until that time, the game's free trial period will be extended. It's not only the PC version of the game that is experiencing troubles. The PS3 version, slated for release in March 2011, is being delayed. "Regarding the PlayStation 3, it is not our wish to release a simple conversion of the Windows version in its current state, but rather an update that includes all the improvements we have planned," says Wada. "For that reason, we have made the difficult decision to delay the release of the PlayStation 3 version beyond the originally announced date of March 2011." For a game as big as this, for a franchise as big as this, everything seems to have spun out of control. Square Enix is making tough decisions and taking action. It's now a matter of cleaning up the mess — and whether or not players are willing to wait.